We are open 10am - Midnight every day. For bookings or immediate assistance it is best to call us! We are located at 1623 Allesandro St., Los Angeles, CA 90026. 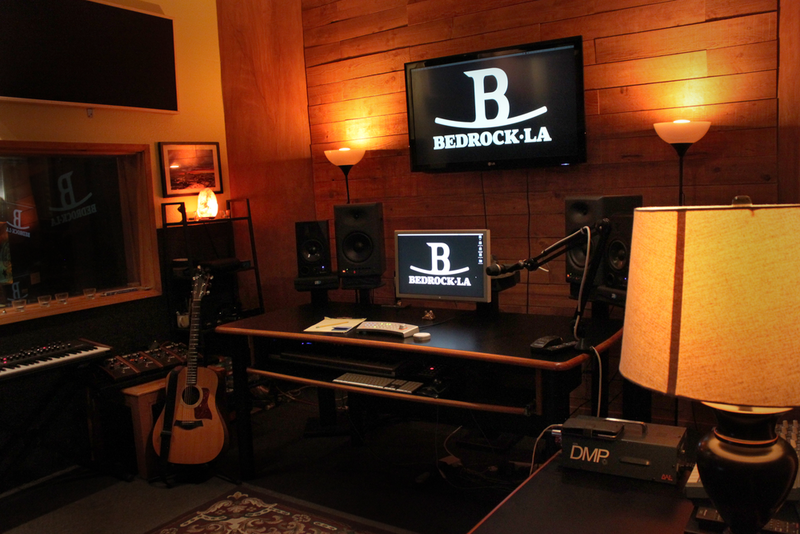 Bedrock.LA is Echo Park’s massive music mecca founded in 2009 by three musicians who believed there was a better way to provide creative space, the East(side) LA landmark has arisen with a giant mural visible from space. Featuring 40,000 square feet sound sanctuary with over 100 rooms of air conditioned facilities, we serve the working local and touring musicians offering a one-stop shop for all things music. Rehearse - Record - Rent - Relax. A lovely 5.1 mixing suite filled with delightful outboard gear, a big fat computer loaded for battle, a sweet tracking room with a vintage 1919 Baldwin upright and other great overdub fodder. 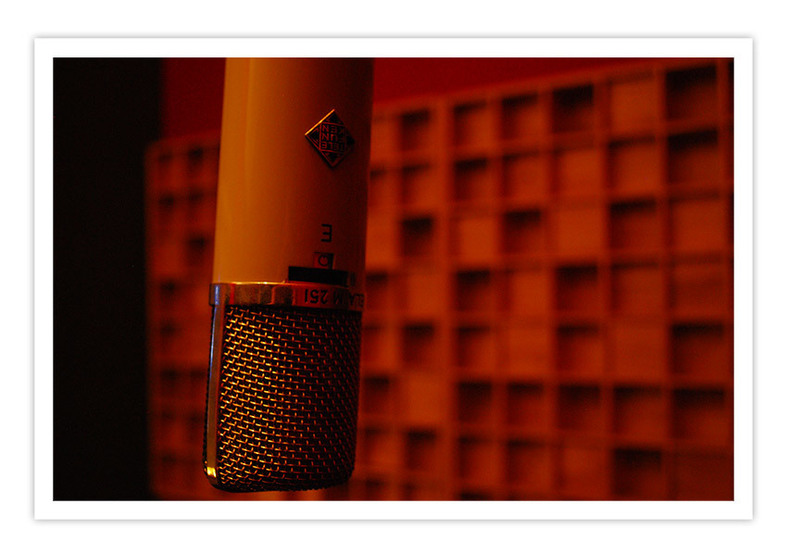 Mix that soundtrack or that recording in a well tuned, well appointed suite! The space is powered by a beefed up Mac Pro tower loaded with RAM, SSDs, and plugins for days. Sound and monitoring via Apogee Rosetta with a Big Ben clock, and a Dangerous Monitor ST-SR with 5 Adam A7s and JBL LSR 6312SP Subwoofer. Whisper Room - The whisper room is a double walled, 3.5ft by 4ft isolation booth that will ensure total isolation within the studio allowing multiple instruments to be tracked together in our overdub room as well as a great vocal booth silent enough for ADR! 1919 Baldwin Upright Piano - been in Bedrock owner Cosmo Jones' family since it was new, it has a very cool sound! Fender Tonemaster - This is from the custom shop and is one of 3 made for Joe Perry of Aerosmith by the Fender custom group in Arizona. Ironically, it's plugged into a cabinet made by Gabriel Currie of Echopark Guitars who happens to build guitars for Joe! For a big amp sound, this is the ticket. Hiwatt Studio/Stage MkII Combo - A beautiful new hand wired Class A combo which can switch between 20 and 40W. We like 20W. Great tone, warm spring reverb, yummy. Marshall Bluesbreaker - Another Class A combo, this one runs at about 18W and has that vintage Marshall tone in a small footprint. Dave Smith Prophet '08 - An awesome modern Prophet interpretation from a reliable and respected purveyor. Elektron Sid Station - One of the first batch they ever did. There are only 500 in existence to begin with so this one is extra special.